A few months ago, I was in the market for a new phone and I couldn’t decide what kind to get. I finally decided on an Android-powered smartphone, and I couldn’t be happier with it! Let’s take a look at some of the other phones I have owned. My very first cell phone was a Nokia 3590 which I purchased in 2003. At the time I went through Cingular Wireless, which later became AT&T Wireless. The phone was nothing fancy with its black-and-white screen, but it did have a contacts list, text-messaging capabilities, and a few simple games. There was no music player, speakerphone, Bluetooth, or external storage. It was a phone first and foremost, and it handled calling functions very well. Call quality was good and the low processing power and basic display meant it had good battery life. In 2006 I switched from AT&T Wireless to T-Mobile and got my second phone, a Nokia 6010. Here was another candybar-shaped GSM phone that was nearly identical to my old one, only with a slightly revised keypad and a color screen. Though it wasn’t as feature-packed as a Blackberry or other device, I came to love the phone’s simplicity and the fact that it just worked well, had good call quality, and battery life. It was also highly durable, having been dropped and scuffed over the years with absolutely no problems. This phone stood up to the challenges of daily use remarkably well. I used the Nokia 6010 until September 2009 when I purchased a Nokia E52 smartphone. The E52 is a Symbian S60 v3 powered phone that I bought online through a Malaysian import company. I wanted a phone that was different from everything else out there, and this one certainly was! It was only available in Europe and Asia and was not sold in the U.S. The phone’s specs really wowed me, from its 600MHz processor and 128MB of RAM to its built-in WiFi, GPS receiver, and 3.2 megapixel camera. It was also incredibly thin and lightweight, and still had the best battery life of any phone I’ve ever owned. At just 98 grams, it was so light you could easily forget that it was in your pocket. Still, the E52 was not without its drawbacks. The Symbian OS has a steep learning curve. Menus and settings were not intuitive, even for a power user like myself. Navigating through the labyrinth of menus was tiresome, and the call quality was unbelievably bad. The phone’s speaker simply didn’t get loud enough to hear the person on the other end clearly. Nokia offered their own “app store” called Ovi and while the selection of Apps was decent, there didn’t seem to be any new development. My guess is that the people who make smartphone apps had moved on to develop for other, more profitable platforms. Installing third-party applications was a royal pain because of the Symbian Foundation’s digital signature requirements. Although I found several app-signing websites and programs, they were unreliable and error-prone. I read about a tool called HelloOX which allowed you to run unsigned programs, but it only worked with the oldest firmware and I could not find a good tutorial for how to install it. Then in November of 2011, I got my first Android smartphone. A physical keyboard was a “must-have,” since I had not been impressed with on-screen keyboards. It also had to be compatible with T-Mobile and run Android OS. 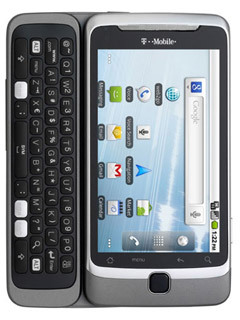 I finally found what I wanted in the T-Mobile G2. I bought mine used on craigslist for $200 dollars and ended up selling the old E52 on eBay for $100 bucks. When looking at phones for sale, I made sure to buy one that came with the original box and charger to ensure I wasn’t buying a stolen handset. So far, the phone has greatly exceeded my expectations. It is tremendously powerful with its 4G data service, GPS, Wi-Fi, tethering, and other features. It doesn’t have the battery life or FM radio of the last phone, but the rich selection of apps more than makes up for those things. However, there are still a few ways in which the phone could be improved. The Z-hinge is unique, but I would prefer a more traditional sliding hinge like the one found on the T-Mobile MyTouch 4G. I would also pick a phone with a separate number row on the keyboard, and one with directional arrows if possible. It will probably be a while before I am in the market for a phone again. For now, I’m very happy with the G2 and I have to say it’s easily the best phone I’ve ever owned!